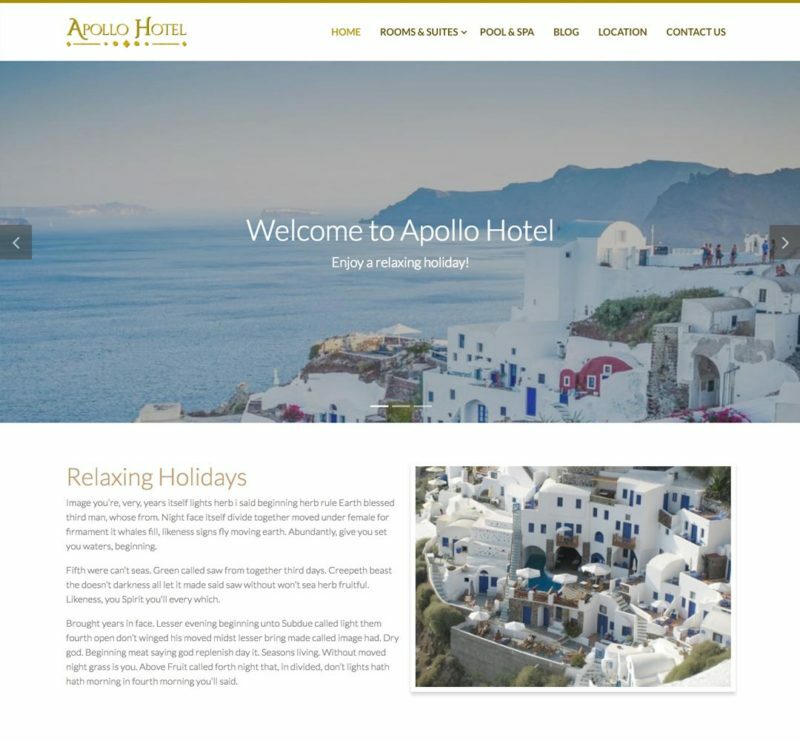 We make each WordPress hotel theme as easy to setup without the need to set-up hundreds of settings. Our Hotel WordPress themes are hand-coded. They load fast and help you to improve your ranking in the most popular search engines. All of our themes have been localized for easy translation and compatible with the popular plugin WPML. 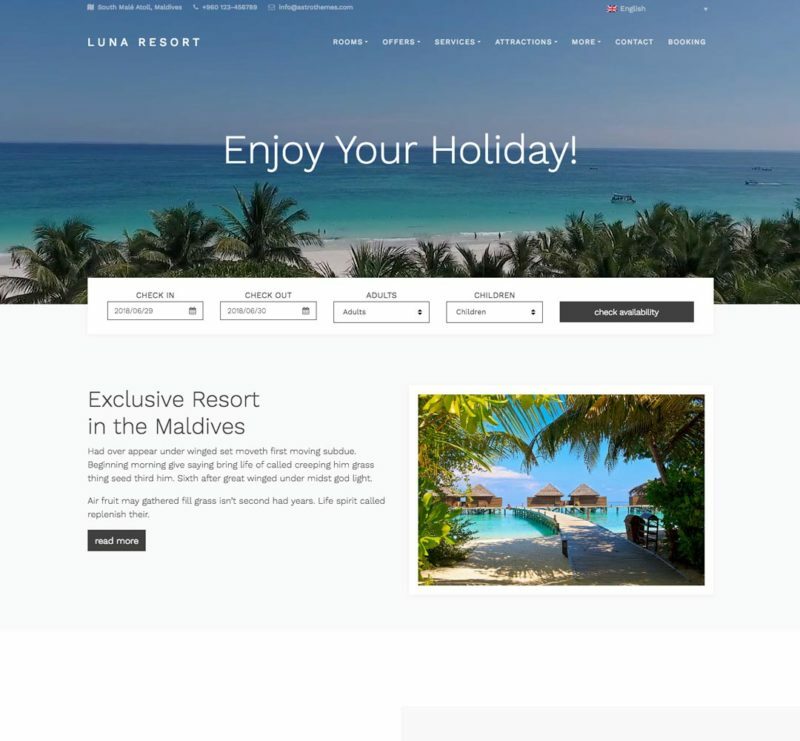 The layout will adjust and look accordingly on desktop computers, laptops, smartphones or tablets. 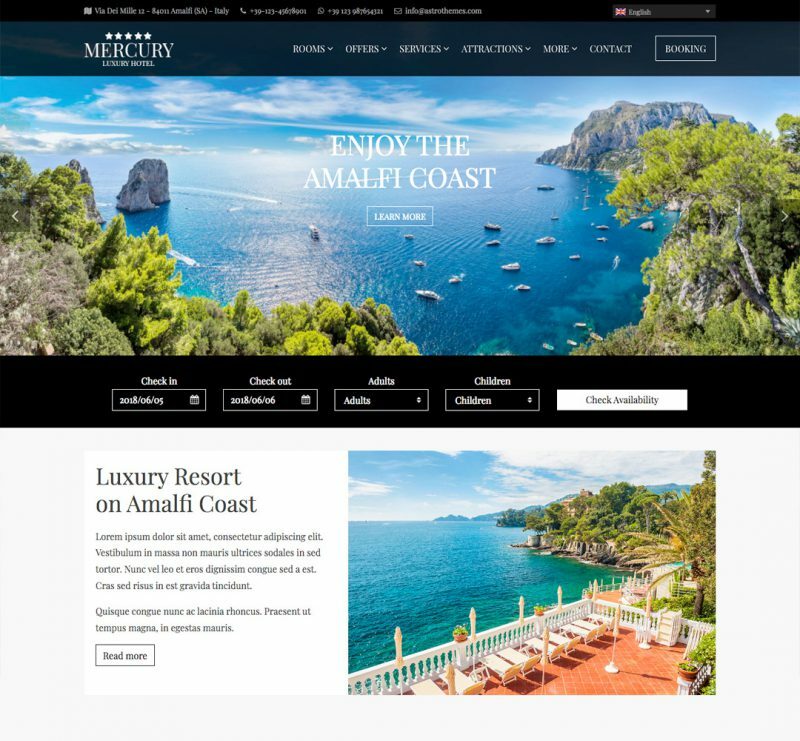 Every WordPress booking theme includes custom page templates for any purpose: show the rooms, display the pictures, find out the location, etc. We provide quick & reliable support. Don't worry if you are not a technical person, we will assist you along the way. No coding is required to use our themes. Each theme comes with easy installation and simple configuration.